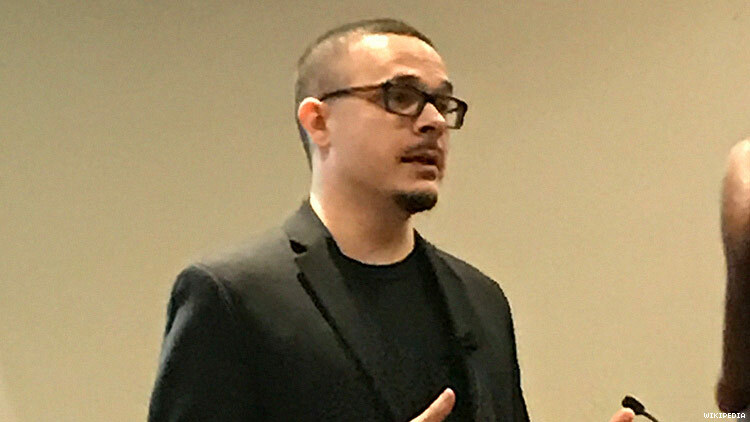 Shaun King controversy intensifies after he threatens to sue fellow Black activists. Well-known Black Lives Matter activist Shaun King has been lauded as a hero for helping to track down white supremists involved in the beating of DeAndre Harris in Charlottesville, Virginia—and more recently for disclosing a tip to the Harris County Sheriff’s Office in Texas, which led to an arrest in connection to young Black child’s murder. However, many fellow activists have taken to social media to not only question his methods, but also his handling of funds raised in connection to the tip, reports The Washington Post. And King is not having it. King’s heated tweet came in response to several other racial justice activists who recently took to Twitter to question whether King had followed through on the $100,000 reward he and civil rights attorney Lee Merritt offered for successful tips. Many also brought up previous claims that the activist had mishandled fundraising efforts in other high-profile cases. Responding to these concerns by threatening legal action against fellow activists does not sit well with the broader Black activist community. Many of those who were singled out by King with cease-and-desist letters are young Black activists — and the hypocrisy of threatening them with a legal system that he has previously denounced as racist and corrupt is troubling many. Though supporters of King say the man had a right to defend his reputation, many others argue that Brooks has a right to openly question his activism and shouldn’t be threatened legally by doing so. “Q: if your activism is based around black ppl who have been crushed by the criminal justice system, and you are now using both your sphere of influence AND that same system to crush Black ppl who have been skeptical of your tactics... Are we allowed to query your activism?” wrote Twitter user @_ShamGod in a widely shared tweet on the topic. Further investigation would prove that the man named by King, Robert Cantrell, had no connection to the case. He deleted the tweet after that became known, but the damage was done. Cantrell’s niece, Hailey Cantrell, told KTRK that King’s suggestion that her uncle may be a person of interest in Barnes’s death resulted in threats directed at the family on social media. “I just want everyone to back off,” she said. To date, King has issued no retraction or apology regarding the Cantrell mistake, adding fuel to his critics’ fire. “So [Shaun King] can falsely accuse individuals on his platform and when found to be wrong he is offered forgiveness but others aren’t deserving of the same grace? The double standard he is creating will only hurt causes he wants to help,” one activist identifying herself as “Kate K” wrote in another widely shared tweet Wednesday. King singled out Brooks for a tweet she posted suggesting that he had previously mishandled a fundraiser for Cyntoia Brown. (Brown was recently granted clemency by the governor of Tennessee for a life sentence she was serving for killing a man as a teenager, despite insisting she was a victim of human trafficking.) King denied involvement in any fundraising for Brown. The Barnes and Brown cases are not the first time a fundraising foul has been called on King, who has faced scrutiny in this area since at least 2015, when his national profile was elevated in the months following the fatal police shooting of Michael Brown. In a December 2015 Daily Beast article titled, “Where Did All the Money Shaun King Raised for Black Lives Go?” journalist Goldie Taylor questioned various fundraising efforts led by King dating back to his time as a pastor at Courageous Church, a megachurch he led in Atlanta. In the article Taylor pointed out that although King claimed to have raised $1 million for Haiti disaster relief in 2010, the Miriam Center, a Christian mission and beneficiary of the funds, reported that $540,000 had been raised — and that only $200,000 had ever actually been granted to the center. “People need to understand that failure is not fraud,” King told the Daily Beast at the time. In 2015, The Post’s Wesley Lowery questioned where $60,000 raised by King and others for the family of Tamir Rice had gone, after Rice’s mother stated in a legal filing she was temporarily homeless and Rice had yet to be buried months after he was fatally shot by a Cleveland police officer. Apparently the attorneys representing Rice’s family had been unaware of the fundraiser. The money King and others raised was seized by the court and turned over to the estate with various restrictions limiting how the family could access it. King told The Post in 2015 he thought the situation was “absurd.” Additional funds raised by King and others were eventually used to assist Rice’s family with housing. King has since adamantly defended his activism and fundraising efforts. And now, just this morning, King’s wife has spoken out defending her husband and his integrity in Medium. In it, she passionately denies any wrongdoing on their part and defends their right to seek legal action against accusors, which she says she encouraged King to pursue. That may be true, but others are calling on King to document where the funding went (something that would be legally required if he were, for example, operating a nonprofit organization). Rai-Tonicia's responded to those calls by arguing, "The burden of proof lies with the accuser, not the accused." But considering that bank documents and other details necessary for such proof (as to where the funds in question have gone) aren't public, it seems that — aside from King — only law enforcement officers could provide it.